It drives me crazy that cranberries no longer come in a pound package. All of the bags of cranberries in my store are 12 ounce packages. 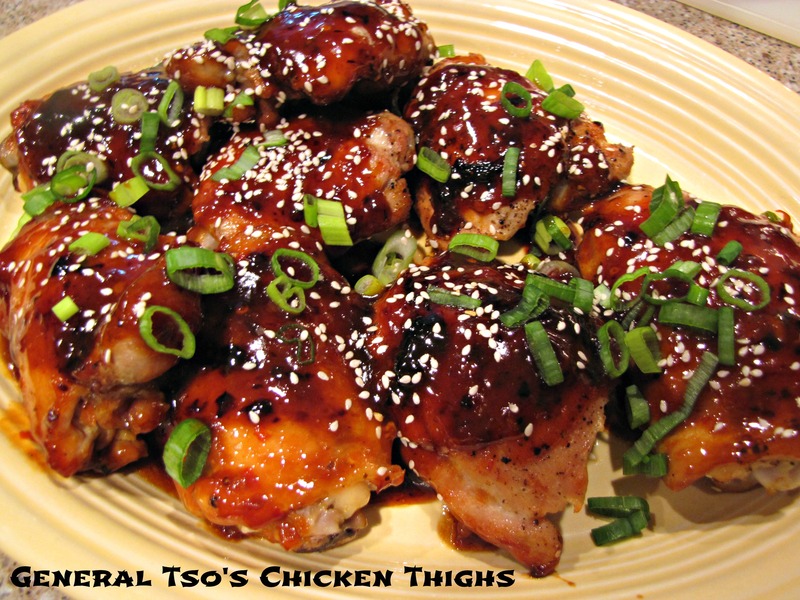 Technically for this recipe you need 1 pound (16 oz.) of cranberries so you need about 1 ¼ bags. I haven’t tried this recipe with only 12 ounces of berries, but my best guess is that it would be just fine. You might want to decrease the sugar a bit and/or cook it just a little more to thicken. OR you can buy 2 bags of cranberries, make the recipe as written, and make Cranberry Apple Crisp (so good! ), Cranberry Orange Bread, Braised Pork Chops with Cranberries, or some other awesome cranberry recipe. Use the tabs to the right or the search bar…we have lots of cranberry love here at Idiot’s Kitchen. 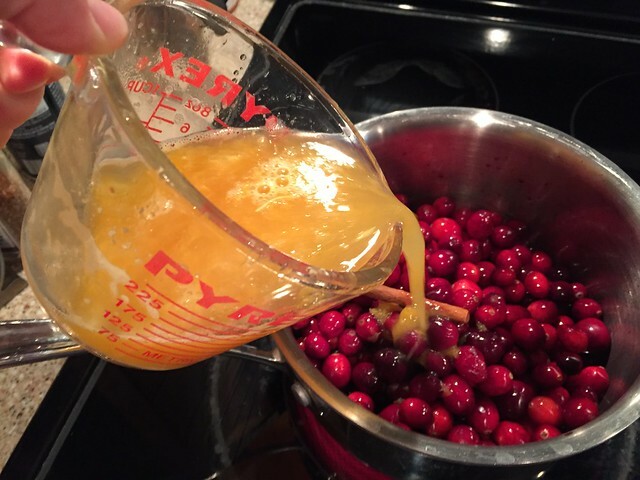 Cranberries can also be frozen so you don’t need to feel pressured to use them up right away. I always buy at least one extra bag so I have cranberries all year long. 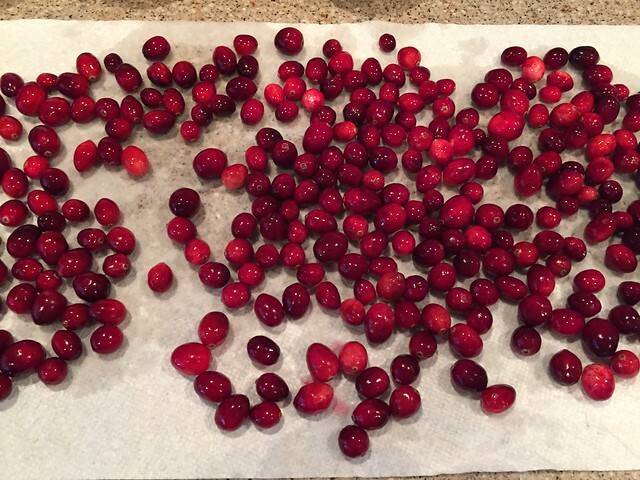 I like to rinse and pick through my cranberries. There are always a few that are shriveled and funky and we don’t want those. Use only firm, bright berries. 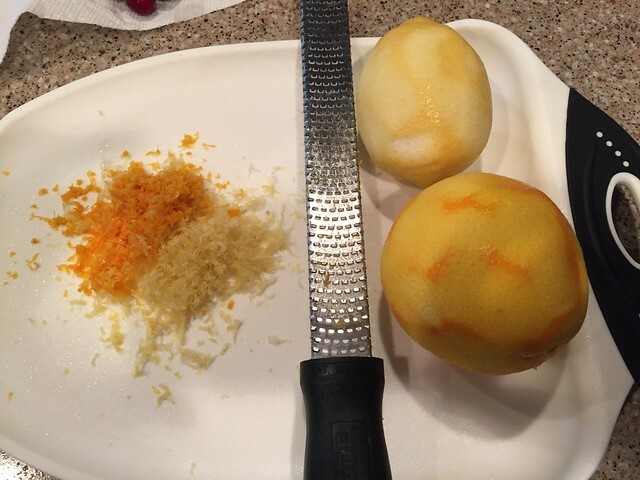 The only other prep is to grate the zest off of 1 lemon and 1 orange. Then squeeze the juice of 2 oranges to equal 1 cup. 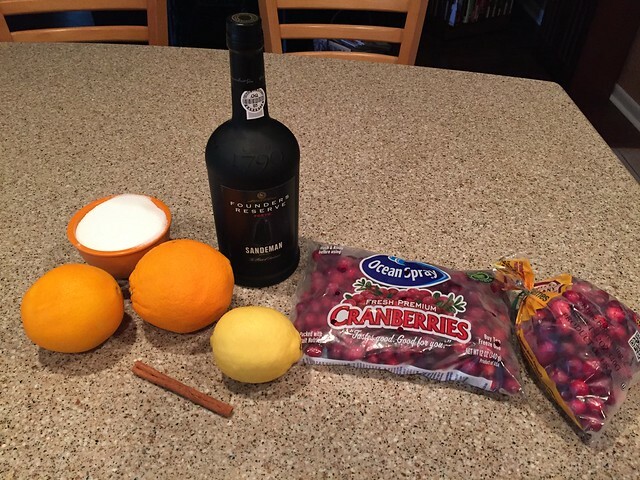 The first step in this recipe is to reduce 1 cup of port by half. 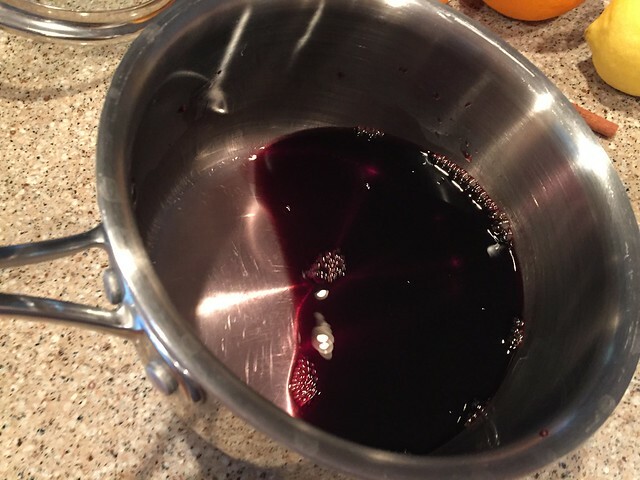 The best way to know what half looks like is to pour 1 cup of port into a sauce pan and tip it gently to the side. Get a good mental picture of where that port is in the pan. How much of the bottom does it cover? How far does it come up the side? 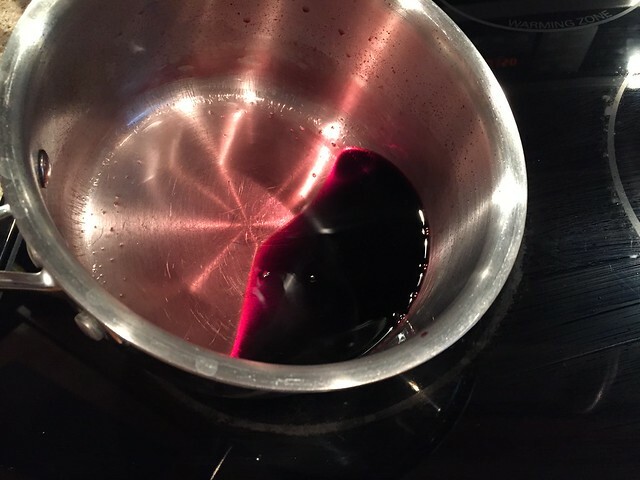 Then place the pan on the stove over medium high heat and bring the cup of port to a simmer or light boil. Simmer for about 5 minutes and as the port thickens and reduces, occasionally tip the pan to the side to see how the amount compares to the full cup. Reducing by half will take about 5 minutes. If you’re really worried about this step (don’t be) you can always pour it into a measuring cup, but a good eyeball estimate will usually suffice. 1 cup of sugar, the lemon and orange zest, and 1 cinnamon stick. Note: If you don’t have a cinnamon stick, I think it’s better to skip the cinnamon. 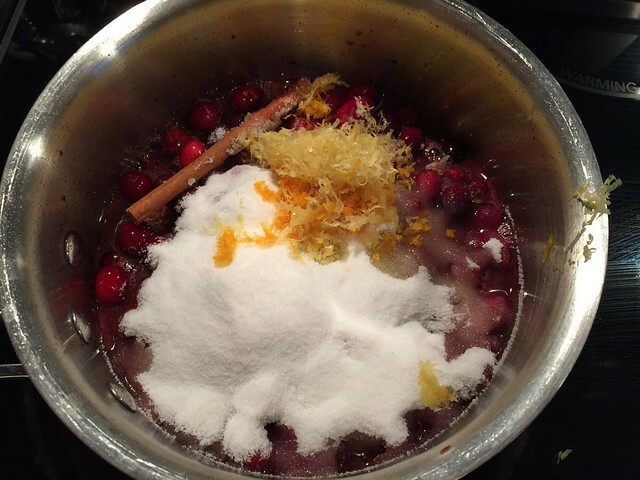 If you only have ground cinnamon, you can add the tiniest pinch at the end, but don’t get too carried away with it or your Cranberry Port Sauce will be completely overwhelmed. 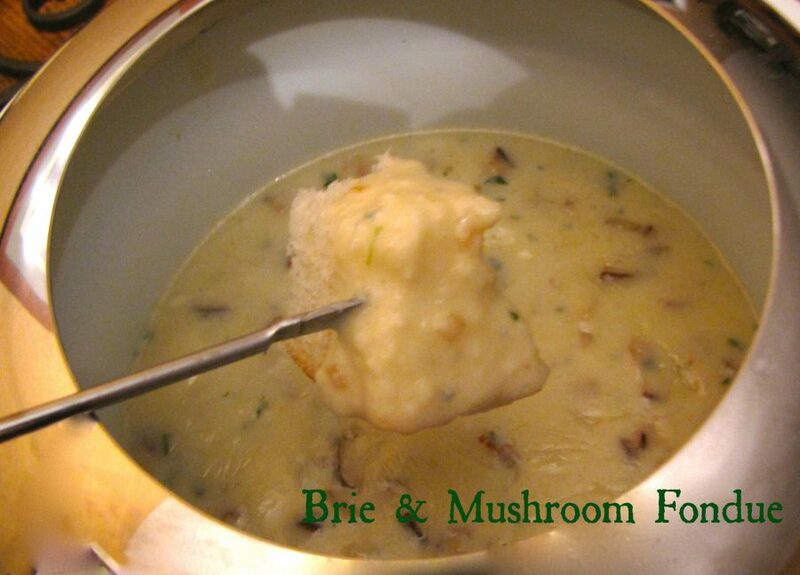 Stir all of the ingredients together and bring to a simmer over medium low heat, stirring occasionally, for 15 minutes. 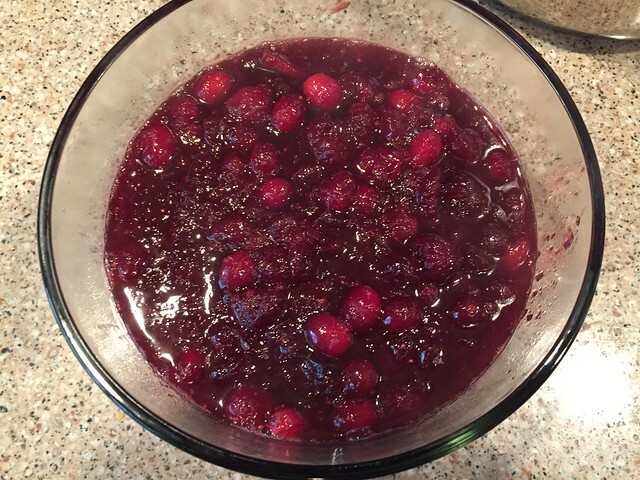 After 15 minutes, about half of the berries will have burst and the sauce will thicken enough to coat the back of the spoon. 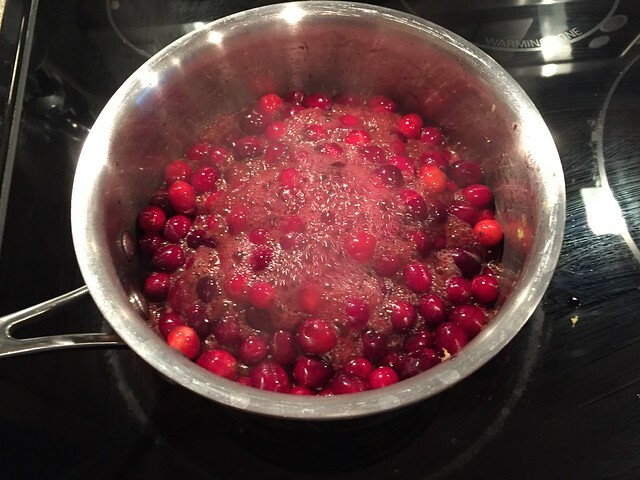 Remove the pan from the heat and allow the Cranberry Port Sauce to cool to room temperature. When cool, remove the cinnamon stick, transfer to a bowl, cover, and refrigerate. The sauce will continue to thicken in the fridge and the flavors will only get better, so I like to make this one or two days ahead. On Thanksgiving day, take this out of the fridge about an hour before you’re ready to eat so that it can warm up a bit. Spoon it into a pretty dish – I use my Grandma’s pink bowl, and serve with your turkey and fixings! 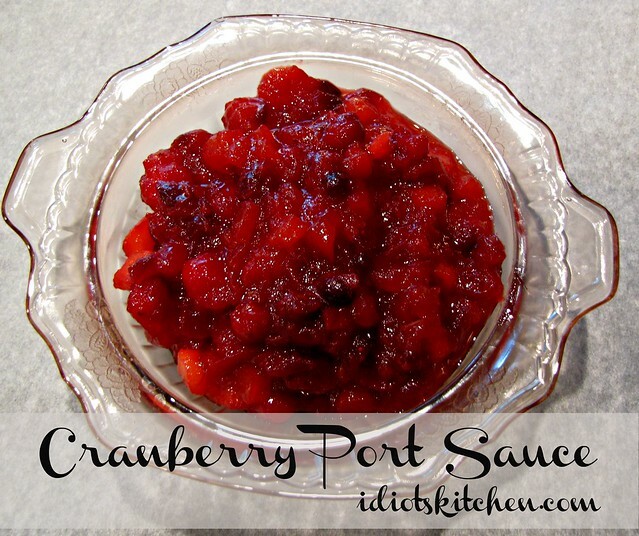 If you’re a cranberry lover like me, I know you’ll love this Cranberry Port Sauce. 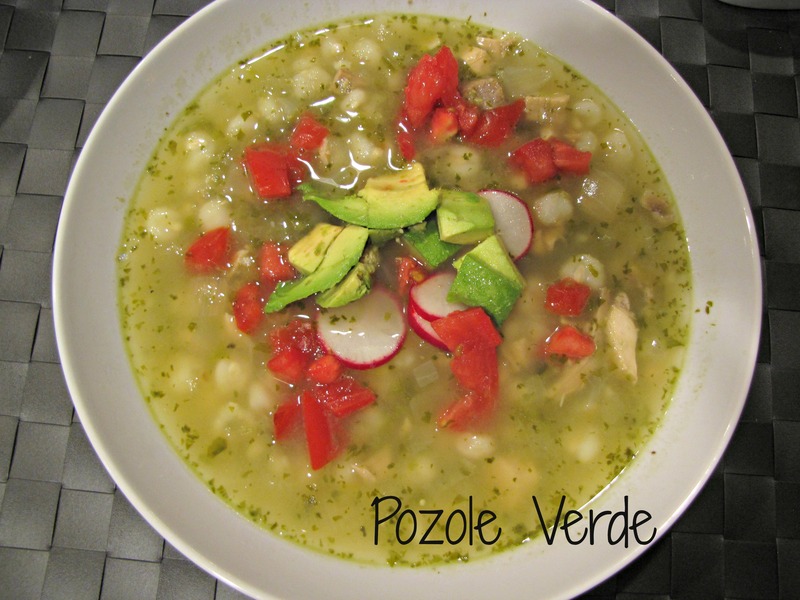 Many thanks to my friend Roz for sending me the recipe! 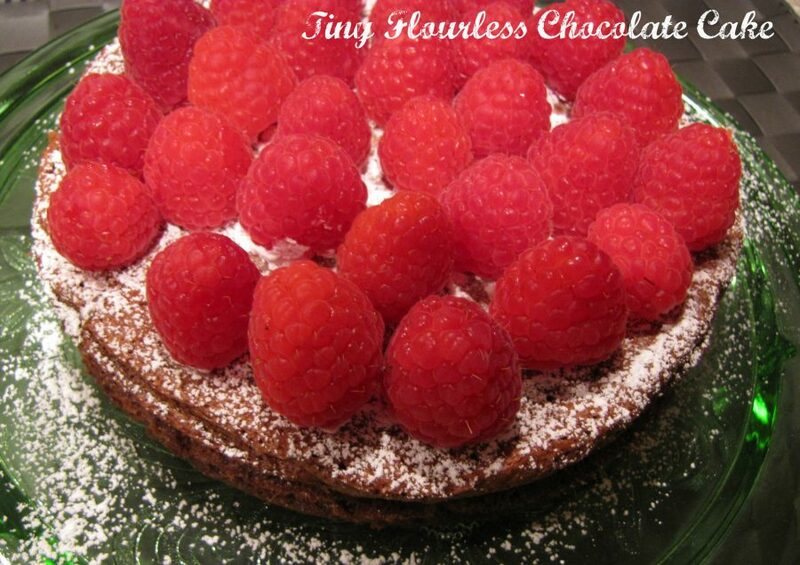 This looks delicious and I have a bottle of ruby port sitting on the counter right now. What I don’t have is a lemon…maybe tomorrow? 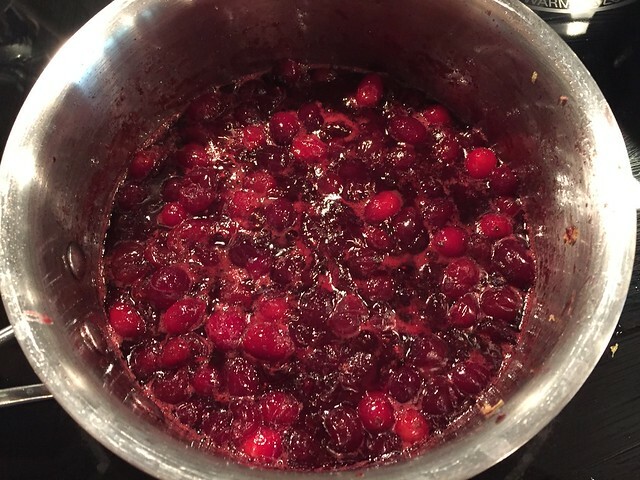 I have enough cranberries to make this recipe along with my favorite cranberry-orange relish. Too bad I’m not your neighbor! I could bring you an extra lemon…I forgot that I already had them and bought more. We’re going to have to have chicken piccata one of these days.